Kaupungissa Torreblanca del Mar on upeat merinäkymät, rannat 80 metriä kaksi oikoteitä, ravintoloita, baareja, supermarketit lähellä, kävelykatu seitsemän kilometriä. antisísmico uusi rakennus. Bussit katukaupassa portaalissa tasainen. Varustettu kaikki laitteet, ilmastointi ja WiFi. Se on pysäköintitilaa. Called Torreblanca rautatie pysähtyi lähellä 150 metriä kohde Malaga ja pysähtyen Malagan lentokentälle. Se pysähtyy myös Plaza Mayor ravintoloita, kahviloita, vaatemerkkejä jne jne. We had a vert quiet relaxing week in Lorenzos apartment. It was very clean and comfortable and we enjoyed our stay. Avery comfortable and well maintained apartment, we very much enjoyed our stay. Good location with great views along the coast and pretty close to most things. The public transport system works very well with cheap and easy transfers to and from the airport by train. The swimming pool is currently being refurbished, which as we stated to the Agent was not a problem for us. However it may be worth mentioning to future clients (whilst this work is being carried out), particularly if they expect to be able to use it. Personas educadas con un comportamiento excelente, espero que repitan y puedan volver. Everything was very pleasant, the views was excellent,Heating etc but No english tv channels, Wifi excellent and fast! Läget var perfekt. Allt som vi behövde fanns i lägenheten. Perfekt med garage för bilen. Vi är supernöjda. Muy agradecido por el comentario recibido y contento porque la estancia haya sido de su agrado y también quiero decir que estos huéspedes han sido educados y correctos.. quisiera que volviesen. Muchas gracias por la opinión comentada y por su educación a los señores Mendo. 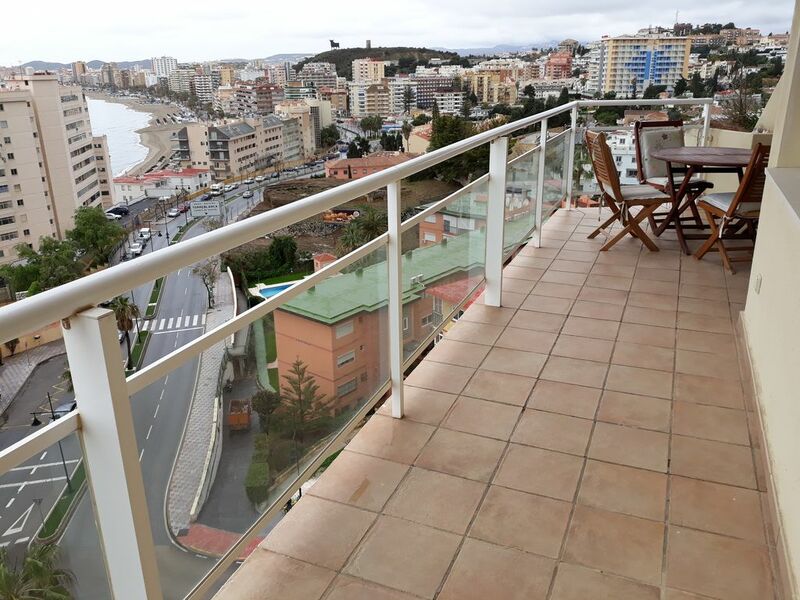 Ahora invito a todos aquellos que quieran visitar Fuengirola o la costa del sol, les recibiré con toda la atención que se merecen. muchas gracias y me alegro que hayan disfrutado de su estancia en el apartamento, y muy agradecido por su comentario.